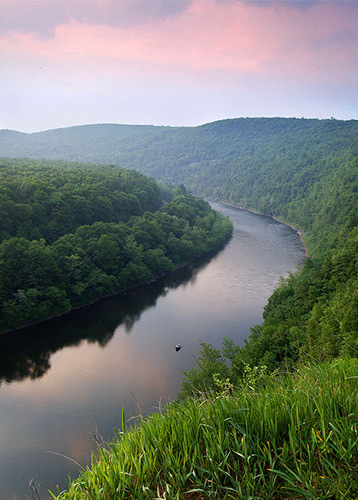 Tell Governor Wolf to protect our drinking water and our health! Deadline May 1st - tell him to protect our drinking water and our health! PA PFAS Meeting April 15 – come and speak up! Click here for a print out talking points. Governor Wolf formed the “PFAS Action Team” to hear from the public on the highly toxic per- and poly-fluorinated alkyl substances (PFAS) in Pennsylvania’s water. He set up a comment period that was set to close next week but has been extended to May 1st. Please take a moment to tell him we need and have a right to clean drinking water. Send a letter now with a click – simply fill out the form below to submit your own letter, or modify the template letter provided. But please do it today so we can get REAL ACTION for safe, clean water. The potential problem is enormous since these chemicals have been used widely and never break down in the environment, so they can impact people throughout the Commonwealth without them even knowing it. This is a statewide issue. The critical action that Pennsylvania must take is to utilize the PA Environmental Quality Board (EQB) to adopt a statewide safe drinking water standard or maximum contaminant level (MCL) for PFOA and PFOS, mandating the removal of these contaminants. Yet the “PFAS Action Team” hasn’t even mentioned this as a goal, sidelining the board that is supposed to set these standards so that we can drink safe water. Please tell Governor Wolf that he must take immediate action to find all PFAS and require the removal of these toxic compounds from our water by establishing mandatory MCLs. And that you want the polluted sites cleaned up. Please send a letter now with a click – you can simply sign and send, write your own letter in the template or add to the one that is there. But please do it today so we can get REAL ACTION for safe, clean water. Per- and poly-fluorinated alkyl substances (PFAS) have been used widely in manufacturing, such as coatings, plastics and firefighting foam. They are so widespread that most of us have traces in our blood; it’s even been found in polar bears in the Arctic. PFAS are highly toxic at very low doses and tend to build up in the blood, where it remains for many years after exposure. Even miniscule concentrations in drinking water can have adverse health effects and many people have been drinking contaminated water for long periods of time, increasing their risks for developing adverse health effects linked to PFAS including cancers, thyroid disease, high cholesterol, and developmental effects in the fetus and young children. Scientific studies document the dangers such as those linked to PFOA and other PFAS: http://www.c8sciencepanel.org/newsletter10.html and https://bit.ly/2qFO3mV. PFAS compounds don’t break down or biodegrade, becoming a permanent threat in the environment. That’s why it is still in the ground and surface water around where it was discharged, even if it is no longer being used. And it can spread over time. Unregulated at the federal level, states are beginning to step out on their own to protect public health and the environment by establishing statewide mandatory safe drinking water standards, also called maximum contaminant levels or MCLs. New Jersey, New York, Vermont and Michigan are setting standards, with New Jersey being the first state to adopt a mandatory MCL (https://www.state.nj.us/dep/watersupply/g_reg.html). It is critical that MCLs are adopted because there is no way to avoid exposure unless it is removed by treatment from drinking water, which is the primary source of exposure for people. 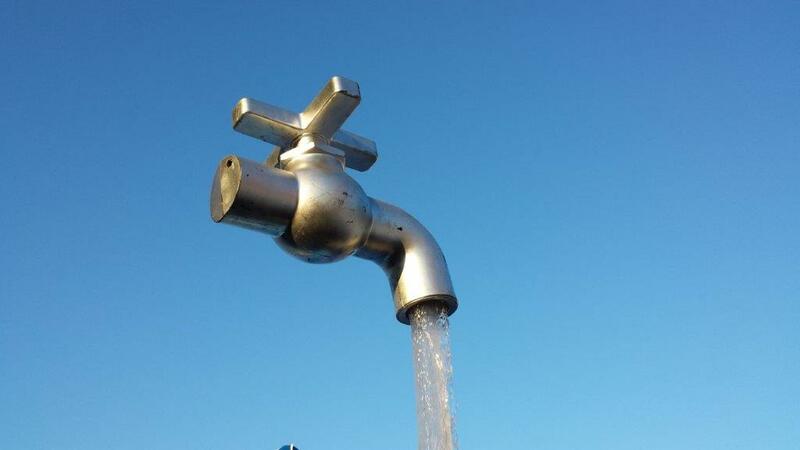 In Pennsylvania, PFAS have been found in various locations by water sampling conducted by the U.S. Environmental Protection Agency: https://bit.ly/2QCjCJL. Since then, water systems and the military have collected samples in the Bucks and Montgomery Counties, finding more locations as sampling widens. The Governor’s Action Team announced that PADEP will collect samples in 2019. But between 70,000 and 100,000 residents and at least 15 communities have discovered their water was contaminated by PFAS, primarily Perfluorooctanoic acid (PFOA) and Perfluorooctane sulfonate (PFOS). Some large water systems have installed treatment but problems with costs, mapping of pollution, identifying additional sources of contamination, medical monitoring and health effects, remediation and cleanup of ground and surface water, water sampling and treatment, and the persistent presence and movement of these dangerous chemicals in the environment continue. The military and some water companies use EPA’s health advisory level (not mandatory) of 70 ppt of PFOA/PFOS as the trigger requiring treatment but that is not protective of human health. The Michigan Science Advisory Board has recommended that 70 ppt is not sufficiently protective of human health, especially children. (https://bit.ly/2FZS4f1) In June, the federal Agency for Toxic Substances and Disease Registry (ATSDR) released "minimum risk levels” that reduce the level at which no harm can be expected from exposure down to approximately 14 ppt for PFOS and 21 ppt for PFOA. (https://bit.ly/2T8H3vx) Other states are developing MCLs since the federal government has not. The New Jersey Drinking Water Quality Institute (NJDWQI), for instance, is going to adopt mandatory maximum contaminant levels (MCLs) of 14 ppt for PFOA and 13 ppt for PFOS, a much more protective level (https://bit.ly/2qFO3mV) and NJDEP has also proposed a groundwater standard, which will be used for cleanup of polluted sites, of 10 ppt for both. New York’s Drinking Water Advisory Council has recommended MCLs of 10 ppt for these two chemicals. Recognizing the need for urgent action, a petition was filed by Delaware Riverkeeper Network with the PA EQB asking that they set an MCL for PFOA of 1ppt or no greater than 6ppt (http://bit.ly/2psG1uu) in August 2017. The PA EQB unanimously accepted the petition but has not taken any action since. In June, a follow-up letter was sent regarding an MCL be set for PFOS. Due to lack of inaction by PA EQB, no MCL has been set, despite its statutory mandate to provide safe water under Pennsylvania’s Safe Drinking Water Act. This action is essential to provide a uniform, mandatory, and protective statewide standard that will require the removal of these chemicals from the water we drink and the places we live and work. The military bases, manufacturers and other sources that caused the PFAS contamination are responsible for cleaning it up at their expense, like all other polluters. The Department of Defense and all other responsible parties must budget sufficient funds to remove these powerful toxic compounds from our environment. We need the “PFAS Action Team” to advocate for this and to start rulemaking to list these as hazardous substances and set groundwater and surface water standards for remediation of sites polluted with PFAS. It’s an important first step that Governor Wolf is taking executive action regarding PFAS. https://www.governor.pa.gov/governor-wolf-takes-executive-action-address-pfas-concerns-protect-pennsylvanians/ But he did not mention or instruct the EQB to carry out their statutory responsibility to set MCLs, a huge oversight that has sidelined the precise mechanism that is charged with establishing protective safe drinking water regulation. The state is required to protect public health and the environment and the Governor needs to insist on it. Please send a comment now! Your support counts and thank you for your contribution! The Delaware Riverkeeper Network champions the rights of our communities to a Delaware River and tributary streams that are free-flowing, clean, healthy, and abundant with a diversity of life. Subscribe to one or more news updates by entering your information. By giving us your street address we will be able to better target which e-activist you would receive. By subscribing you are automatically a DRN member which you can opt out of at anytime.